Western Whiskey Gazette (WWG): Expo 2012 - Rrrreno! Fast forward to 2012. 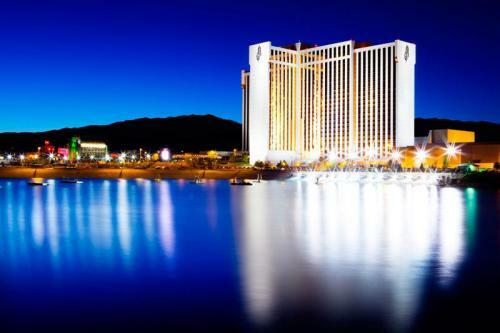 This year the Reno Show hosted Expo 2012 at what was the MGM Grand; now the Grand Sierra Resort and Casino. I come from meager beginnings and places like the Grand Sierra can be a bit intimidating to an old country boy who's not used to grid lock, anything over a couple of stories high, and glitz and glimmer every where you look. And so, we arrived Thursday to get a lay of the land and figure out what lay on the horizon for us. And that's where the good stuff started. Here's my story; and I'm stickin' to it! 1) Setup; Talk about a walk in the park! A freight elevator that you could drive a Greyhound bus into! And rolling carts, courtesy of the Grand Sierra, that could hold the contents of not one, but two, loaded pickups. I was already smilin' from ear to ear. 3) Showtime; Exceptionally well organized. Everything went off like clockwork. Sure the neck veins throbbing visibly in Marty and Rich Siri's necks were visible proof that they were dedicated to making things flow smoothly in terms of both dealer and displayer setup. But the planning paid off in spades. Great job guys! 4) Crunch time (opening the floodgates); Again, advance planning paid off. Twelve noon - everyone out of the sales / display area in the Grand Ballroom. 1 PM, it looked like a cattle chute outside the entrance to the Grand Ballroom. The presence of uniformed security guards sent a message and no "gate crashers" made their way in uninvited. 5) Show Time (the nitty gritty); more awesome glass was present than I can ever recall seeing in one place in my 45+ years in the hobby. And the beauty was that both displays and sales tables were adorned with great "stuff". Both west and east were equally represented. Killer western whiskies, bitters, cures, sodas, plus any and everything else that came in glass was present. And from the east; historical flasks, foods, figural bitters, poisons and on and on. Totally breathtaking! 6) Attendance; Both Friday and Saturday were absolutely jamb packed with folks. Sunday started off strong but, as is typical with any show on the last day, things slowed as the clock ticked on. 7) Tear down and load out; Ditto Item #1. 8) High Points; a massive array of quality glass was present. Both east and west were equally represented. The displays were out of this world. If you were in a buying mode, both quality, quantity and fair prices were around every corner. The Shootout was a blast; great Drakes, Circle Cutters and inks - something for everyone. Seminars - again, something for everyone. Overall impression; I've always loved the Reno Show. But 2012 was, as Denaveauz and Maison named their top shelf whiskey, Crème De La Crème! The organization was great. The weather was great. The facility was great. We enjoyed great food, great beer, great whiskey, and great entertainment (thanks daughter Megan for the Ron White tickets!). We spent nearly four full days enjoying the company of the great friends and fellow collectors that we've gotten to know over the years. Who could ask for more! In a nutshell, The show was over the top! A sincere thanks to all who were responsible for a weekend that one and all will hold dear to their hearts. Simply awesome!